Dews Coaches are celebrating 60 years, and to coincide with Carnival Week, they’re offering a special ‘Sixty Years Seaside Special’ trip to Hunstanton, Norfolk on Wednesday June 19th. 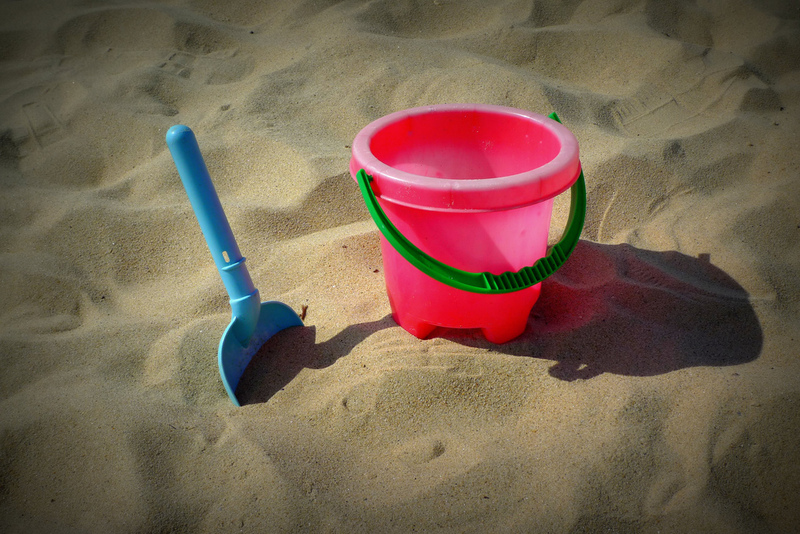 Bucket and Spade. Photo: Henry Burrows via CreativeCommons. What’s more, for anyone born in 1953 or earlier, the Seaside Special is at 1953 prices! Yes, that’s half a crown (or just 13p!) per seat for the over 60s. For those youthful enough to fall outside of this fantastic offer, fear not, seats are just £6 per adult, or £3 per child on the Carnival Coach. Families (2 adults, 2 children) cost £16. You’ll need to book to ensure your seat – tel: 01487 740241 to see if you can join in. The Carnival Coach departs from the Dews Coaches Somersham depot at 4pm, leaves The Cross at 4.05pm, and Victory Hall at 4.15pm. The coach then leaves Hunstanton at 8pm, arriving in Somersham at about 10pm. Better pack that bucket and spade!